Nobody like summer season because of the hot climate and high temperature. It is not easy to work in this season neither take rest properly at your home because of the humidity in your room but an air conditioner can resolve all these problems. Earlier it was considered as the luxurious item but now it has become the necessity. When you go to the market to purchase an air conditioner for your house or workplace, you can see that there are numerous options available in the market which makes you confused to stick to the one. Window Air Conditioners – These air conditioners basically fit inside a window that’s why it is called as window ACs. The benefits of this unit are that they save money because it consumes less power. It’s easy to install and maintain these machines. The cost of these machines is also less which is convenient for everyone to buy it. Wall Air Conditioners: This is unit is same as the window air conditioners and can cool one or two rooms but you need a make a hole in the wall to place it. One thing you need to keep it in mind before making a decision to buy this is that it is permanent so make sure you choose the right wall and fix it permanently. Room Air Conditioners – This unity is same as the wall unit and it can cool one room. PTAC – PTAC stands for Package terminal air conditioners are mainly designed for commercial purposes like for offices, hospitals, apartments and other places. They are energy efficient and requires less maintenance. It looks good and preferably used in commercial places. Portable Air Conditioners – As the name indicates this unit can be easily shifted and that is the main advantage of it. Whether you want to cool your kitchen bedroom or living room it can be easily transferred. 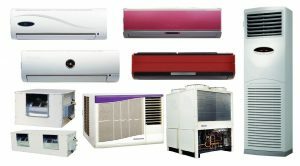 These were the main types of air conditioner s present in the market so choose accordingly and make sure you can take proper AC repair service in Indore when you find any issue inside your machine which will save your machine from getting spoiled.